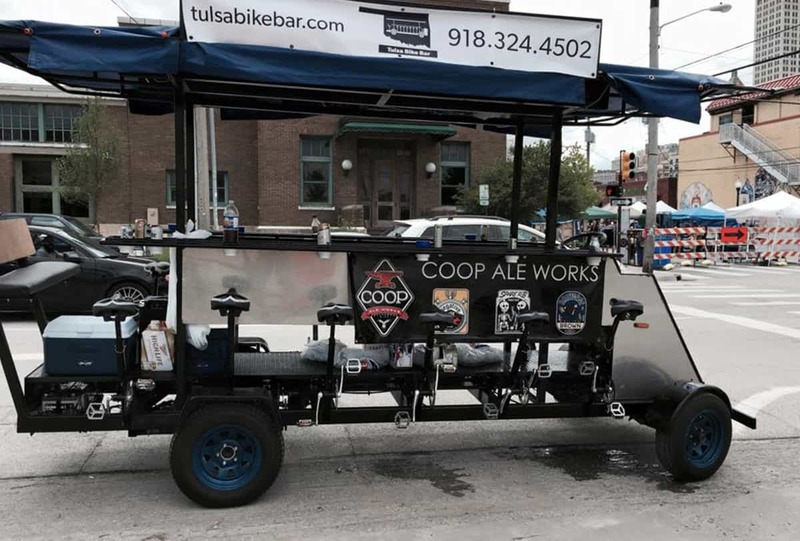 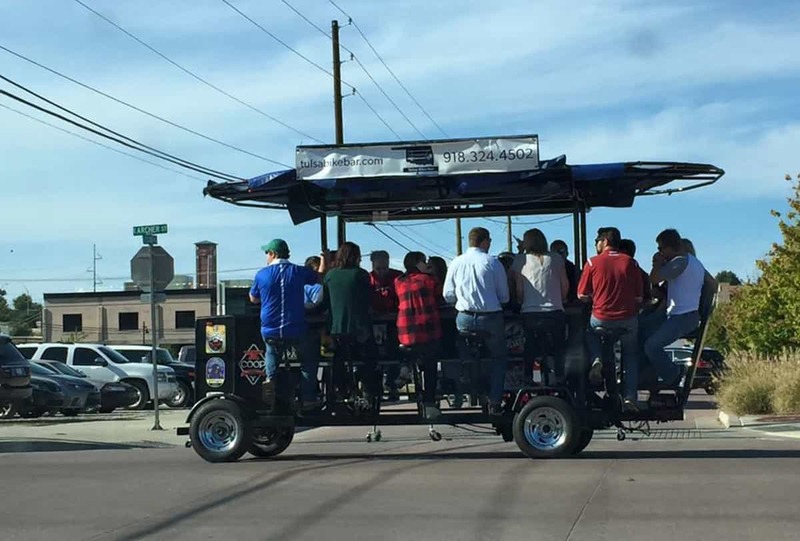 Tulsa Bike Bar is the new way of going out on the town in Style! 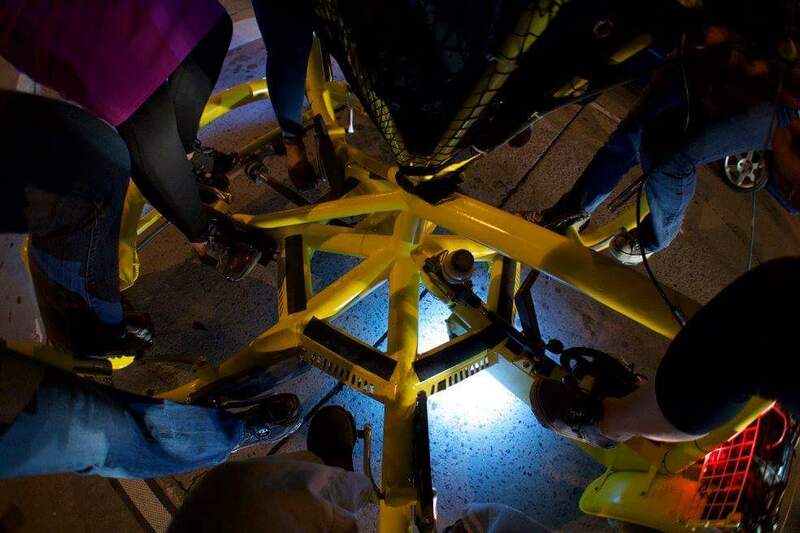 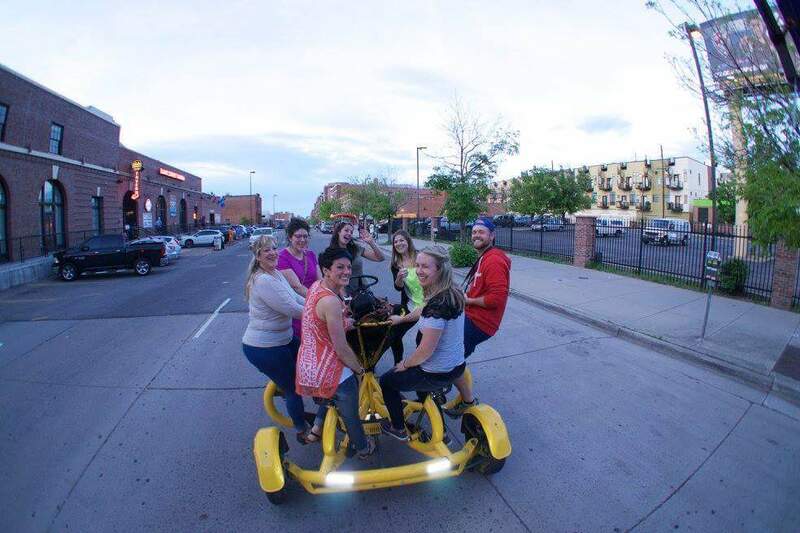 Our Party Bikes are 100% pedal powered vehicles that serve those looking for a different and unique experience. 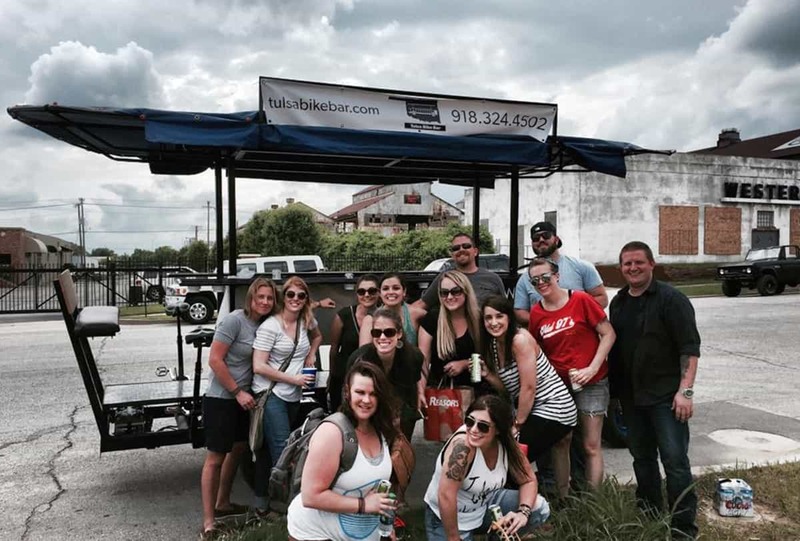 Our bike bar tours have a maximum capacity of 16 riders and can be taken on a pre-designed route or a custom route in Downtown Tulsa. 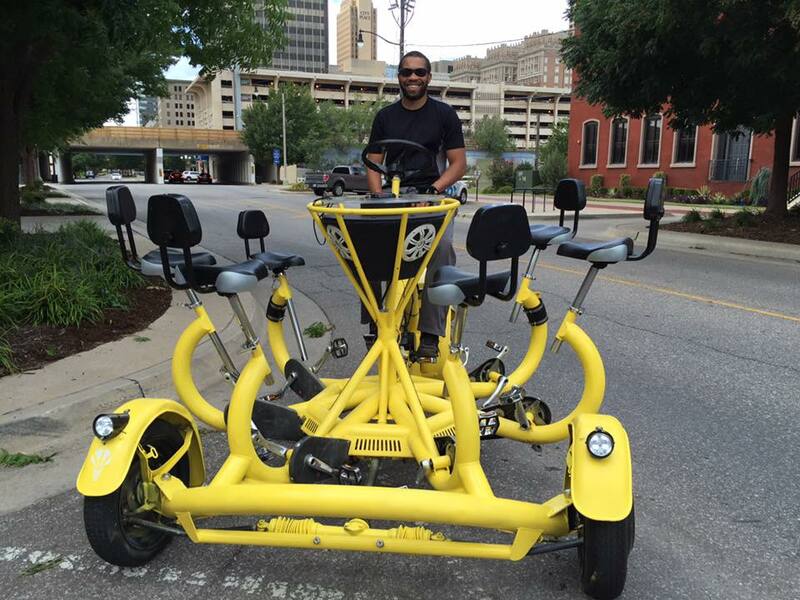 Choose from our pre-designed tours of Downtown Tulsa. 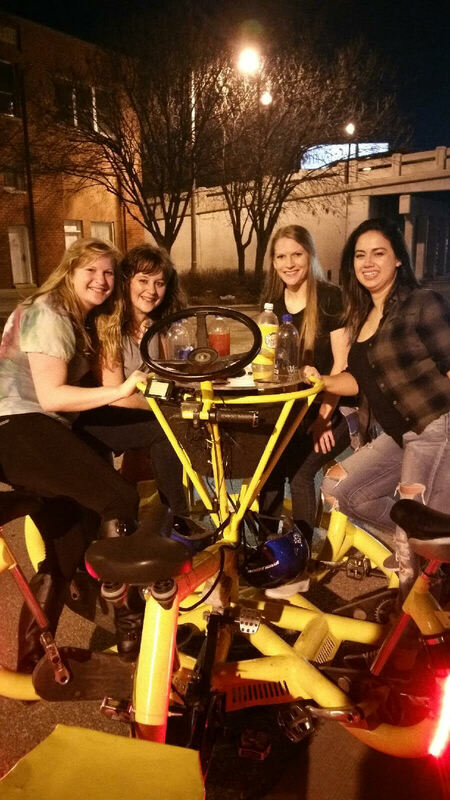 The bike bar is great for everything from a pub crawl with your friends to a corporate team building outing! 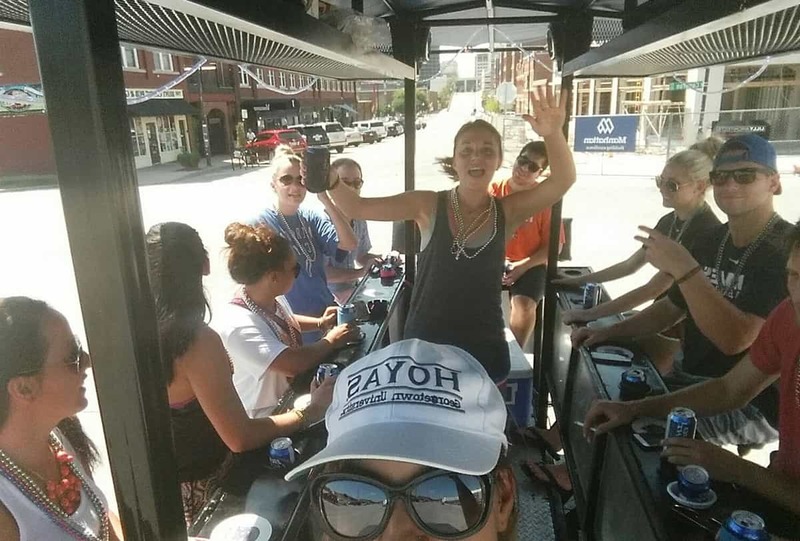 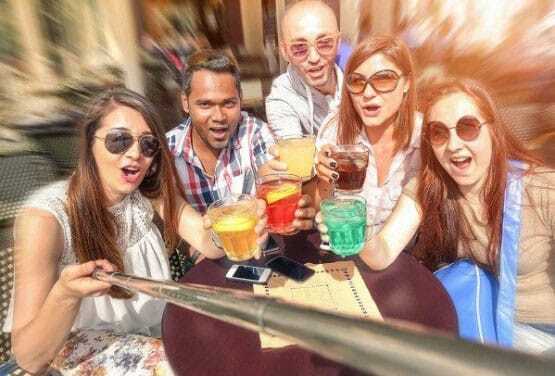 We guarantee that your group will have a good time no matter the event. 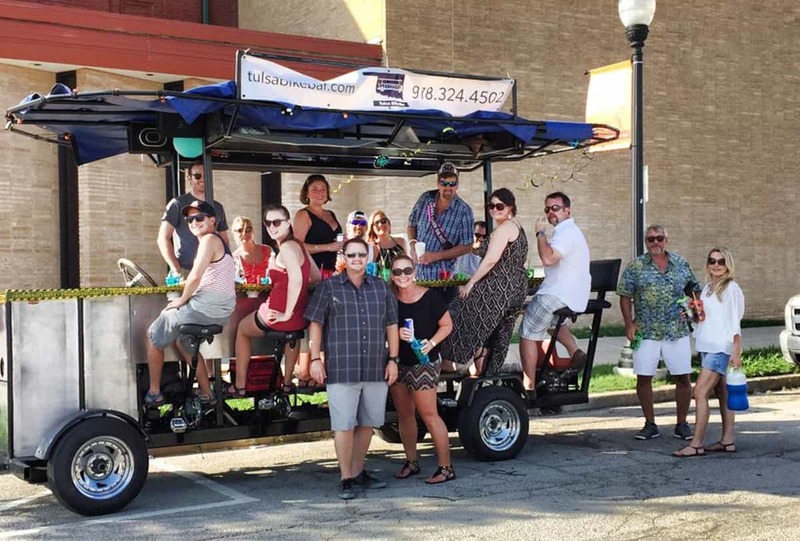 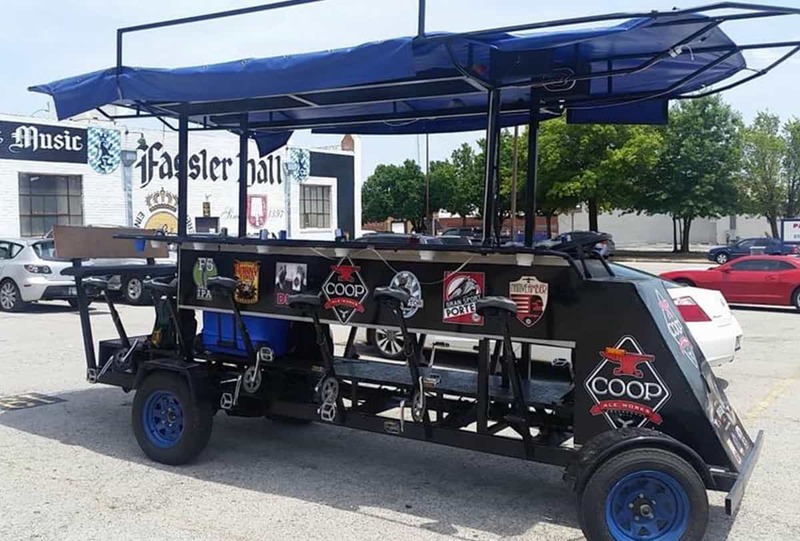 If you’re not sure whether a tour on the Tulsa Bike Bar is a good fit for your group give us a call or send us an email through our contact page! 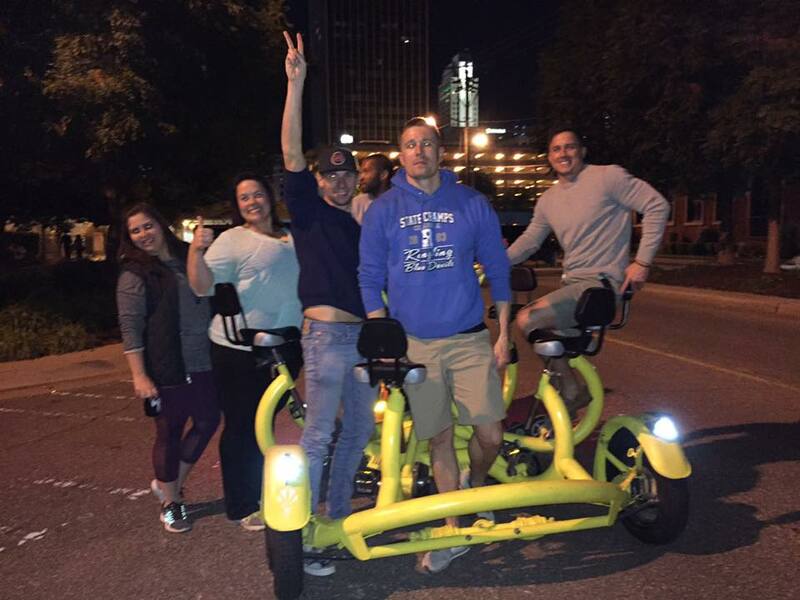 Check out these groups having a great time on the Tulsa Bike Bar!